Pick up the Ukulele Today! Free Ukulele Trial Class! Sign Up for Ukulele Class! Ukulele Classes at a Studio or Straight to your home. 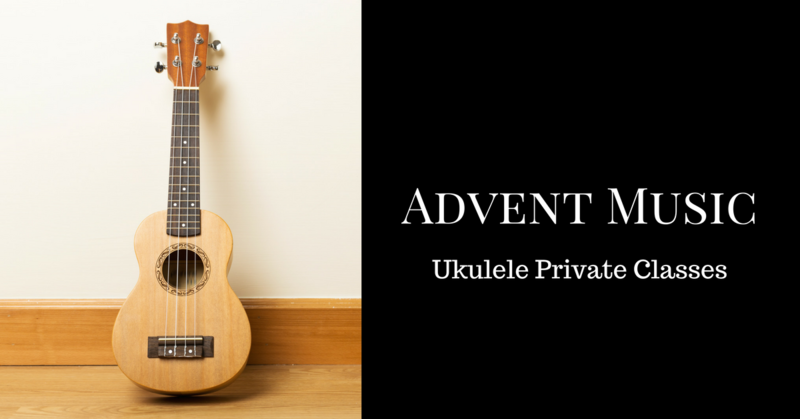 If you are a Parent, or just a music lover looking for Ukulele Classes, Advent Music would like to get in touch with you. Ukulele Classes at your own pace for your own needs. Students as young as Primary 3 can learn the ukulele. Lessons will be conducted at either a music studio or at your home. At Advent Music, we provide lessons for your students, in a private class setting where lessons are held either in a music studio or in your own home. We will be teaching the various methods to play a ukulele – strumming, plucking, and choking, depending on the speed of the students. This course will familiarise you with the instrument, and help to bring your playing to the next level.